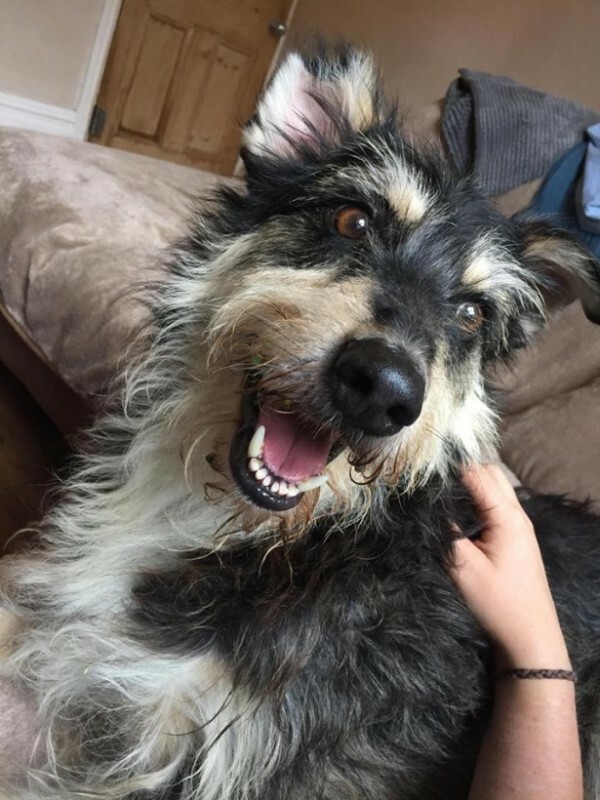 Clyde is gorgeous, scruffy 6-7 year old medium sized crossbreed. 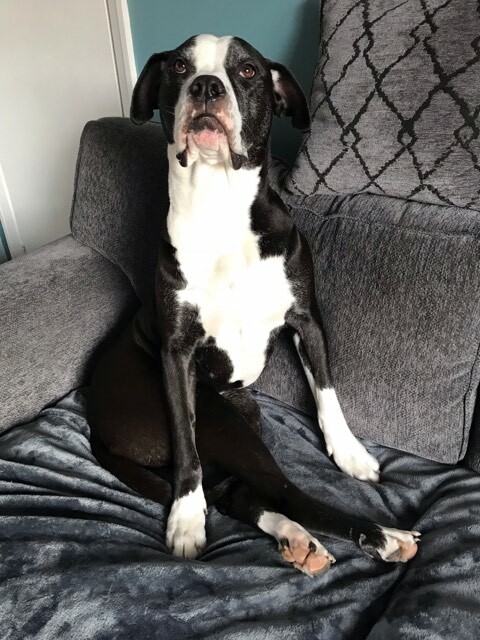 Clyde is a very special boy who is very shy and needs to find a quiet, understanding and patient home where he will be allowed to trust people in his own time. He shies away from being stroked, but does now come to us with a waggy tail when he sees us in kennels which is lovely to see. Clyde is no bother at all around the house – he is quiet and clean, and can be left for a few hours on his own with no problems. He can live with other dogs, ideally a calmer female dog who he can gain confidence from, and can also live with cats. He is nervous about having a lead on as he isn’t used to it, but does walk nicely when he has a bit of confidence, however this will need some work and encouragement to get him more used to being on lead. 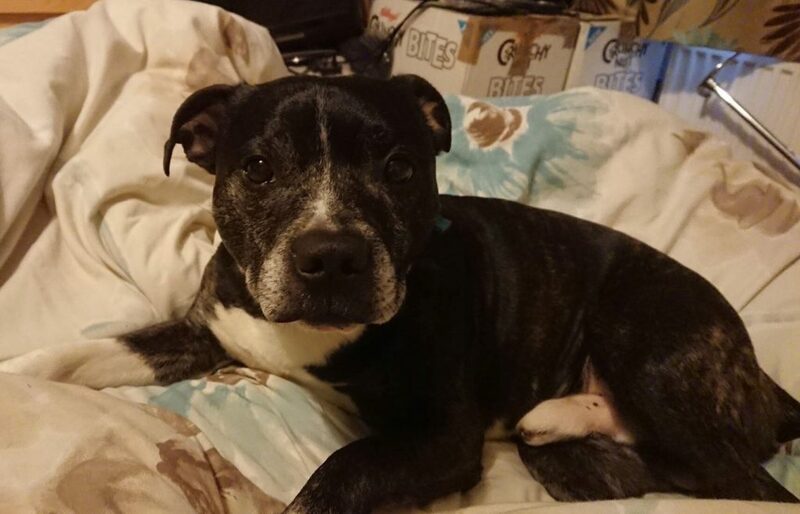 Clyde needs a child free home who have time to allow him to settle in his own time. He desperately deserves to be given a chance, and we really hope we can find someone who will look past his shyness – he is such a special boy.